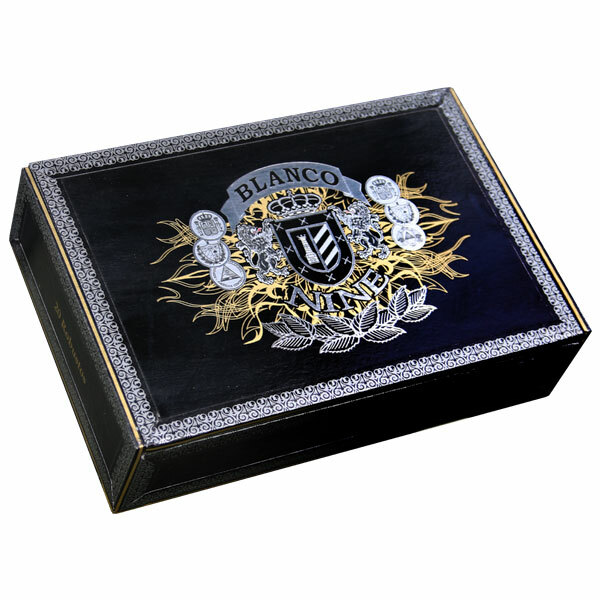 Blanco NINE first hit retail shelves in 2007, being made as a one-off batch of only 5,000 cigars and sold in only one location. The blend — which offered the first full body/strength/flavor cigar from the Blanco family — was quick to catch the attention of enthusiasts, and was subsequently introduced as a national release two years later. Why NINE? Because it was the blend that came after eight, naturally! After tweaking blend after blend, the Blancos found the perfect balance of strength and finesse; using an exceptionally oily, Nicaraguan Habano Corojo Oscuro wrapper over an all-Nicaraguan interior. For strength, the blend showcases three different ligero leaves, which are the highest priming of the tobacco plant and produce the most intense flavors and strength. For the finesse portion, the cigar’s wrapper has been aged three years prior to rolling. The combination produces a high octane experience that cigar fanatics have been coming back to ever since!